The Blu-ray cover of this exciting new release looks like a cross between Terminator Salvation and a robot character from Transformers. It's actually the face of Edgar Ramirez as Carlos. It's a bold cover that will likely attract more mainstream Blockbuster shelf surfers or Netflicks surveyors than the retro-cool theatrical poster of this film. The title of the movie was even changed to Carlos the Jackal to exploit the nickname by which the public knows this story but is actually never mentioned in the film. I have no problem with this – the more eyes on this work the better. Assayas brings Euro-art house credibility to what is essentially a procedural action film told with maximum realism, cinematic swagger and panache. The new Blu-ray features both the five-and-a-half-hour mini-series version, which also played out of competition at Cannes, and the theatrical cut, which runs a bit over two-and-a-half hours. Though one version is literally half the length of the other, they both feel remarkably similar. Each film is anchored by its three acts. The first covers the introduction of Carlos to the International Palestinian Liberation movement funded indirectly by the Iraqi government via white-collar terrorist Wadie Haddad. Carlos's early movements and cocksure attitude are dramatized with great speed, as we rush through assassination attempts, parcel bombings and other smaller tasks in a whip-fast montage effect. Both films feature a remarkably similar second act. It shows the step-by-step procedural details of the notorious Vienna OPEC Raid in 1975, where Carlos led a six-person team into OPEC headquarters and took hostages from Austria to Algeria to Libya and Yemen. After zipping through the early years, virtually the entire second chapter takes place in the two days of this hijacking. Even within this shrunken timeline, Assayas makes every movement, action and decision a nail-biting affair, ringing out genre-style suspense and thrills as good as any Hollywood crackerjack. Where the long version departs from the short version is in the third act, which shows the last 15 years of Carlos's career. It presents the downfall that began with the fallout of the OPEC event, leading to his last days as a free man in the '90s in Africa. Arguably, after reaching the high at the midpoint of part two, the film peters out due to the excessive running time, and it never achieves the true cinematic climax it deserves. And unfortunately, neither version cracks the third act. Narrative deficiencies aside, Carlos succeeds magnificently because of the remarkable state of realism achieved by Assayas. We never feel like we're being manipulated by cinematic conventions or "action scenes." It's distinctly un-Hollywood without the art house pretension. 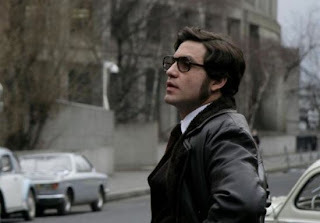 We're also privy to one of the best performances of anyone last year (including Colin Firth) from Edgar Ramirez, who speaks numerous languages, endures De Niro-worthy weight gain to change his appearance over time and, most importantly, conveys the swagger that made Carlos one of the most unlikely political celebrities in the world.